The Clos du Caillou was founded in 1895 when Élie Dussaud settled there and created an old cellar. It started as a hunting preserve and this history ironically led to its exclusion from the Châteauneuf-du-Pape appellation upon its creation in the 1930’s. When the government experts arrived at the Clos in 1936 to survey the land for its inclusion in the new appellation, they were met with armed caretakers telling them they were not welcome! This is the reason for the seemingly inexplicable blank spot in the Châteauneuf-du-Pape appellation map. The Clos du Caillou gives us some of the most spectacular terroir classified as simply Côtes-du-Rhône, and the wines which hail from this clos are anything but simple in their complexity and depth. In 1955, Paul Pouizin aquired the Clos and realizing the amazing terroir that lay in this forested hunting preserve, he set about clearing portions of the land and planting vines. 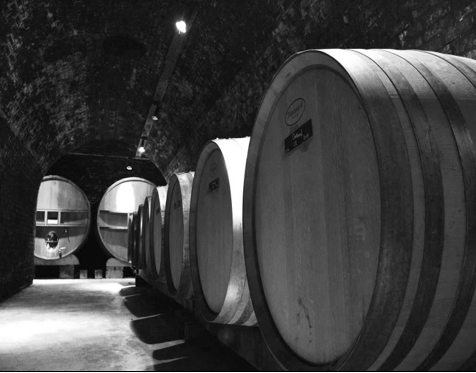 Today, his daughter Sylvie Vacheron manages the estate together with her winemaker Bruno Gaspard. The land is worked with a respect to nature, by regular ploughing without the use of herbicides, pesticides, or chemical fertilizers. The winery has been certified organic since 2010, but they have been working organically at Clos du Caillou since the 2000 vintage. There are different soil types at Clos du Caillou that are responsible for the production of their different cuvées of Côtes-du-Rhône and Châteauneuf-du-Pape. There are vines planted in sandy soils which give elegance and finesse. From the sandy soils come the basic Côtes-du-Rhône and the Reserve as well. 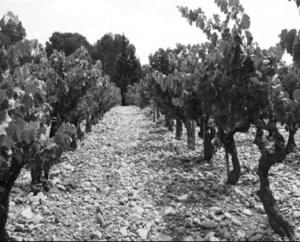 There are sandy soils with some stones and clay subsoils which produce the Bouquet des Garrigues cuvées. From the soil referred to locally as “Safres”, a more compact sandy terroir, comes the Safres Châteauneuf-du-Pape and a portion of the Reserve Châteauneuf-du-Pape. This soil imparts an even greater degree of fineness and minerality to the wines. There is Quartz, which is a sandy soil with many rounded quartz stones that gives weight and richness plus long ageing potential. From here there is both a Côtes-du-Rhône and a Châteauneuf-du-Pape.